In addition to figuring out where we are going to travel this year, one thing I’ve also decided early on here in 2015 is that I want to try and stick to a more regular posting schedule here on worldwide Scott (please note the fact that I have spelled worldwide with lower case letters and capitalized Scott in an attempt to be cool). So, therefore, from here on out, you can count on two posts a week. And one of these posts is going to be the Travelly Picture of the Week, which debuts today. All these images will be pictures I have taken on my travels over the last few years, and I’m hoping they can bring something or another to the table. I can’t guarantee that they are necessarily good pictures and that they are going to inspire you, but I can promise that they will be pictures. For the inaugural Travelly Picture of the Week, I have selected a shot I took on Langkawi Island, Malaysia. 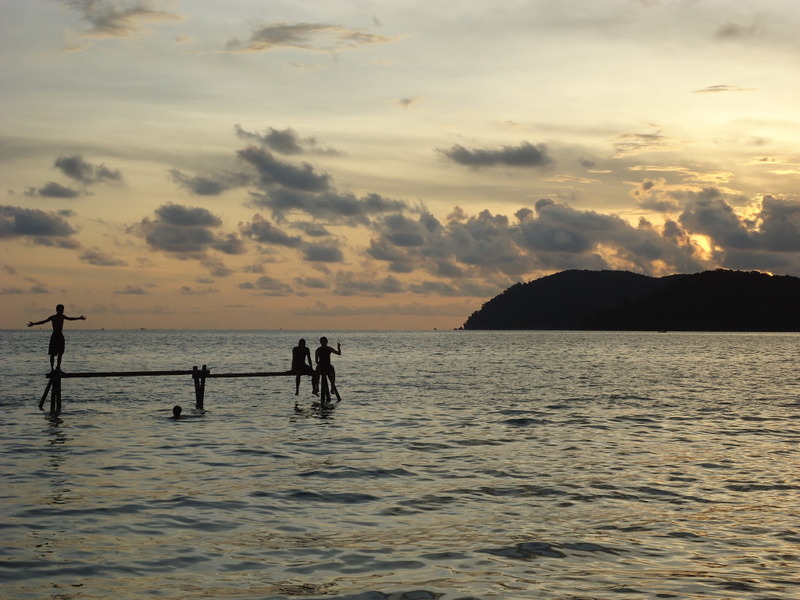 We were walking down the beach around sunset and saw these kids playing on these wooden poles in the sea, and I had a camera, and one thing led to another. Oh yeah, if you click on the picture, I think it gets bigger or something.